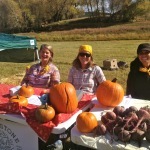 On behalf of Guidestone Colorado, I would like to extend a resounding thank you to everyone in the community who participated in our Annual Pumpkin Patch & Harvest Festival, the weekend of October 12-14th. 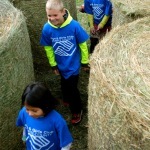 Though the weather was mixed, we had a fantastic weekend of fun activities and a wonderful turnout of festival-goers of all ages from our local community and surrounding counties. 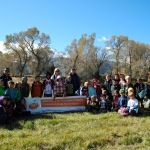 We are grateful to all the attendees, volunteers, sponsors and partners who helped to make the Pumpkin Patch a success! 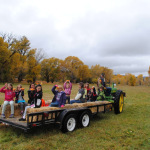 Proceeds from the Pumpkin Patch & Harvest Festival support the delivery of education programs, continued preservation efforts, and general operations of the Hutchinson Homestead and Learning Center, Guidestone’s homebase of operations. 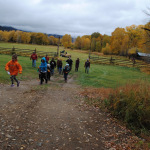 Guidestone Colorado is a 501c3 non-profit organization dedicated to growing a vibrant agricultural future through education, community building and partnerships. 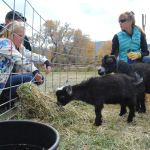 Guidestone provides youth education, builds the capacity of Farm to School, and supports next generation farmers and ranchers find access to land, training, and resources through the Colorado Land Link Program. 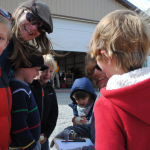 Community engagement is invaluable to the success of these programs, and we are so grateful to be part of such an enthusiastic community that supports local food and local agriculture! Special Thanks to this year’s Sponsors & Donors! Thanks, too, to the following team of hard-working and positive volunteers, and the musicians who created such a festive atmosphere – thank you for sharing your time and talents, and for being an invaluable part of the weekend’s success! 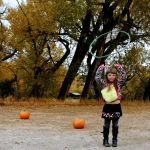 Autumn in the Upper Arkansas Valley is a wonderful time to celebrate the region and its abundant harvest. 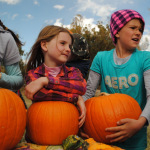 One great event for children and families is Guidestone’s Annual Pumpkin Patch & Harvest Festival at the Hutchinson Ranch in Salida, Colorado. 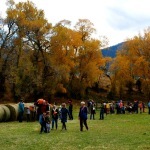 This beloved community event provides 3 days of family fun for hundreds of festival-goers from Chaffee County and surrounding communities with horse-drawn wagon rides to the pumpkin patch, pony rides, field games, crafts, face painting, food, music and more! 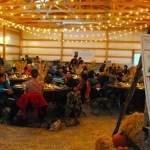 The event is Guidestone’s largest fundraiser of the year, and proceeds from the Pumpkin Patch support the delivery of education programs, continued preservation efforts, and general operations of the Hutchinson Homestead and Learning Center, Guidestone’s home base of operations. 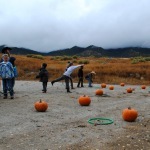 Pumpkin Patch is a rain, snow or shine event. 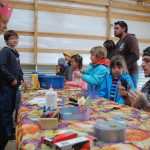 In the event of inclement weather, the Hutchinson Ranch provides plenty of indoor space for foods, games, crafts and music. No refunds provided. And since this is a working ranch, please keep dogs at home. Thanks! The beautiful Hutchinson Ranch is located along the banks of the South Arkansas River, half way between Salida & Poncha Springs. 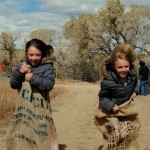 General Entrance Tickets include participation in all event activities, including the tractor and hay wagon rides, straw bale maze, farm games, face painting, crafts, apple cider press, live music and other games and activities. 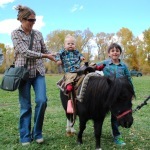 Food, beverages and pony rides are additional. 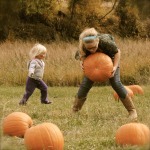 Children 2 & under are always free, and a free pumpkin comes with every child’s entrance ticket while supplies last. 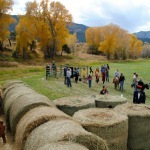 Parking is just past the entrance to the ranch, and guests have a short walk from the parking lot to the entrance gate. 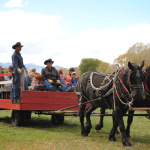 From there, a tractor-drawn wagon take participants up the hill to the event barn, where the food, live music, face painting, apple cider press, farm games and crafts are all located. 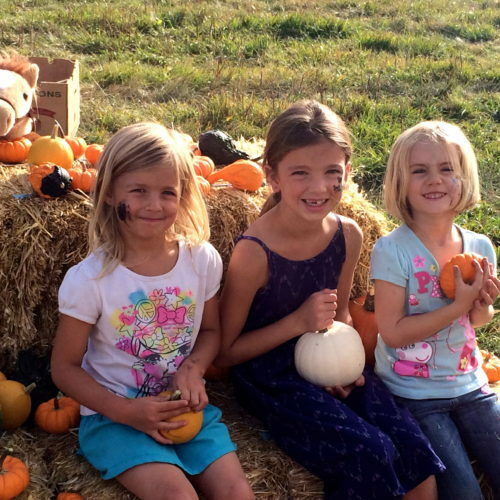 From the event barn, guests can walk down to the pasture to find the ponies, straw bale maze, farm animals and the horse-drawn wagon rides out to the pumpkin patch. Most child strollers can navigate the dirt road and terrain without concern. Anyone needing wheelchair accessibility can drive directly up to the event barn. 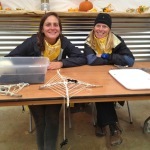 The success of the Pumpkin Patch is due in large part to our sponsors and volunteers! Please join us in making this event a success by being a volunteer! 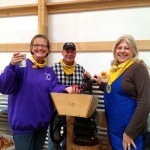 We need volunteers to assist in many aspects of the event – sign up to help with craft activities, face painting, food sales, parking lot, farm games and more. 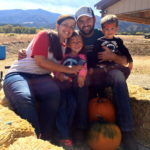 Help make this year the most festive yet! Please join us in making this event a success by becoming a sponsor. 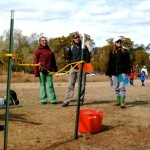 Sponsors can provide funds and/or donate goods and services. 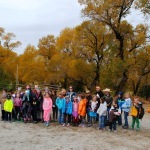 Proceeds from the pumpkin patch cover event costs and support Guidestone’s mission of growing a vibrant agricultural future through Education, Community Building and Partnerships. Thank you for your support!